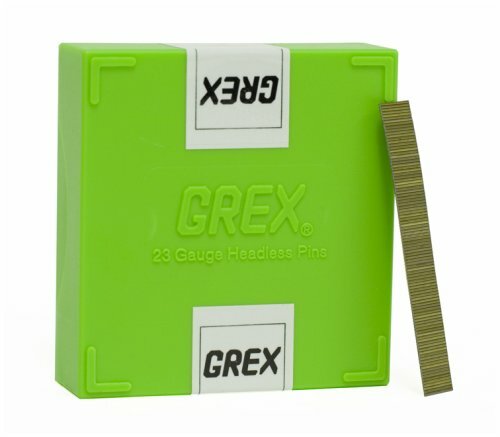 GREX 23 Gauge 1-3/8" Length Headless Pins, 10M/Box. For use in GREX Model # P635, P645, P645L, P650 & P650L. WARNING: This product can expose you to chemicals which is [are] known to the State of California to cause cancer and birth defects or other reproductive harm. For more information go to www.P65Warnings.ca.gov. 23 gauge pins; 10;000 per box. WARNING: This product can expose you to chemicals which is [are] known to the State of California to cause cancer and birth defects or other reproductive harm. For more information go to www.P65Warnings.ca.gov. GREX 23 Gauge 5/8" Length Headless Pins, 10M/Box. For use in GREX Model # P630, P635, P645, P645L, P650 & P650L. WARNING: This product can expose you to chemicals which is [are] known to the State of California to cause cancer and birth defects or other reproductive harm. For more information go to www.P65Warnings.ca.gov. 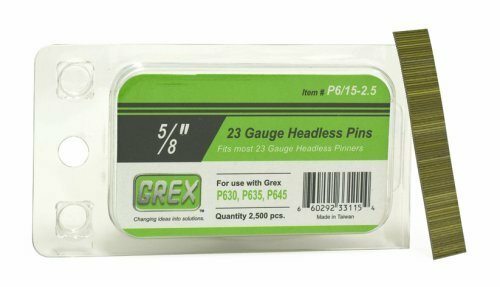 GREX 23 Gauge 1-3/16" Length Headless Pins, 10M/Box. For use in GREX Model # P630, P635, P645, P645L, P650 & P650L. WARNING: This product can expose you to chemicals which is [are] known to the State of California to cause cancer and birth defects or other reproductive harm. For more information go to www.P65Warnings.ca.gov. 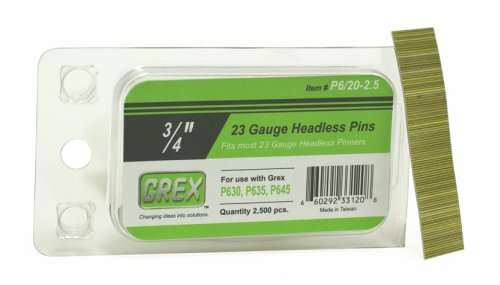 GREX 23 Gauge 1/2" Length Headless Pins, 10M/Box. 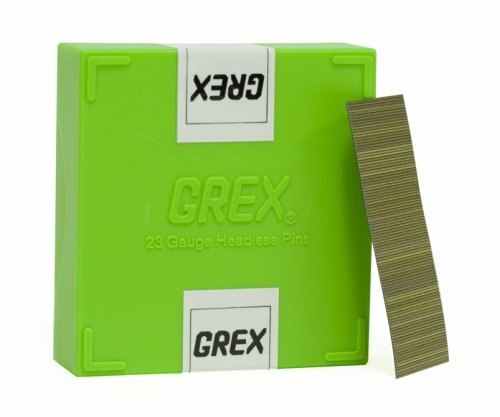 For use in GREX Model # P630, P635, P645, P645L, P650 & P650L. WARNING: This product can expose you to chemicals which is [are] known to the State of California to cause cancer and birth defects or other reproductive harm. For more information go to www.P65Warnings.ca.gov. 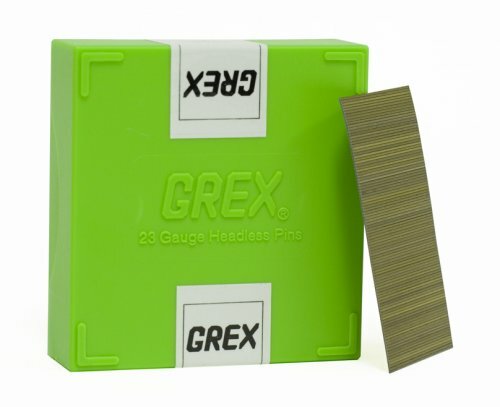 GREX 23 Gauge 7/8" Length Headless Pins, 10M/Box. 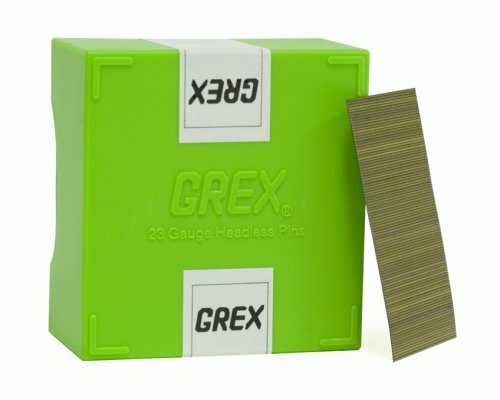 For use in GREX Model # P630, P635, P645, P645L, P650 & P650L. WARNING: This product can expose you to chemicals which is [are] known to the State of California to cause cancer and birth defects or other reproductive harm. For more information go to www.P65Warnings.ca.gov. 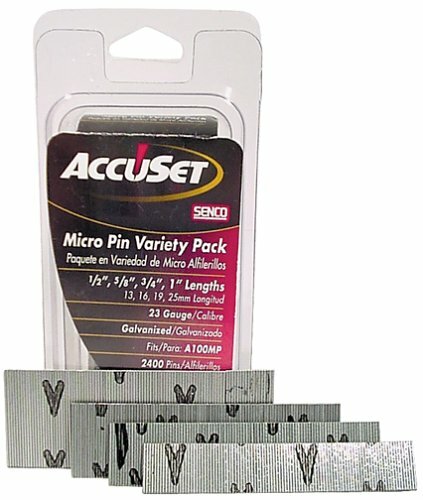 *(Senco-A109809-Multipack Micropin Nail)* - 23-gauge. Straight stick, galvanized brad nails. Ideal for cabinet doors, small trim, glazing bead, carvings and ornamentals, picture frames, birdhouses, and other small trim jobs. 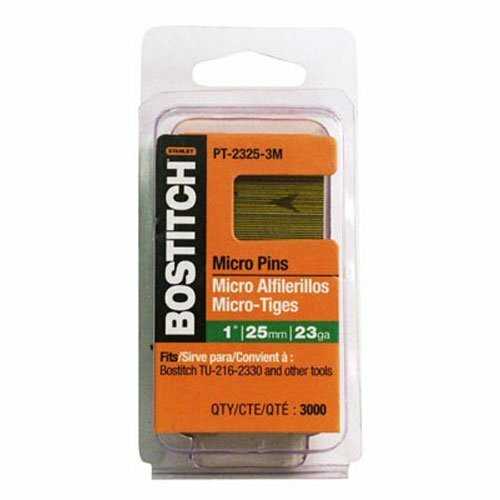 Micropins fasten the smallest trim and leave virtually no hole. For use in Senco FinishPro 10 nailers and all other 23-gauge straight micropin nailers. 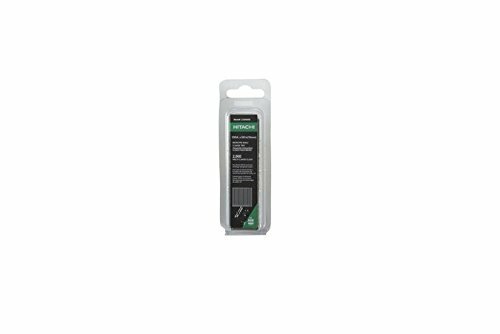 A109809: Multipack, contains 600 each of 1/2", 5/8", 3/4", and 1"
For use in Senco FinishPro 10 nailers and all other 23-gauge straight micropin nailers. 23 gauge headless micro pins fit all 23 gauge pin nailer. Nails leave no visible mark in the work piece. 3000 nails. For use in the BOSTITCH model. 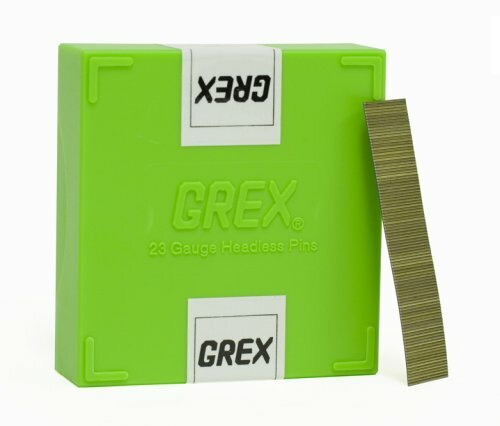 GREX 23 Gauge 3/8" Length Headless Pins, 10M/Box. For use in GREX Model # P630, P635, P645 & P650. WARNING: This product can expose you to chemicals which is [are] known to the State of California to cause cancer and birth defects or other reproductive harm. For more information go to www.P65Warnings.ca.gov. Freeman 1-1/2 in. 23-Gauge headless micro pins are an excellent choice for small wood finishing such as decorative trim, picture framing and crafts. 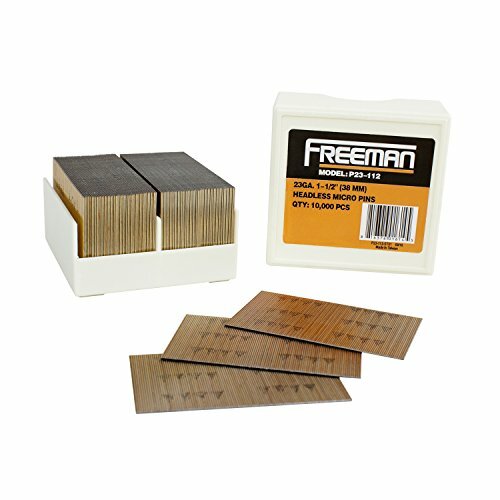 Designed to BOND small work pieces without splintering or leaving a noticeable entry mark, Freeman pin nails should be your first choice for your trim and crafting needs. Each box contains 10,000 pins, and arrows on each strip point towards the bottom of the headless pins for accurate loading into most 23 gauge Pinners. 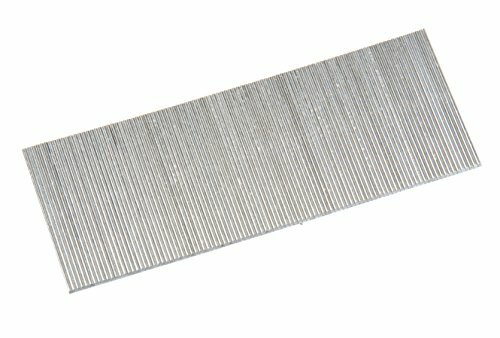 The PORTER-CABLE PPN23063 5/8-Inch, 23 Gauge Pin Nails with galvanized finish. These nails have chisel point tips. Designed to be used with Porter Cable: PIN100. Can also be used with BOSTITCH: HP118K / Grex: P635, P650 / Senco: Finish Pro 10. 2,000 nails per pack / 100 nails per stick. 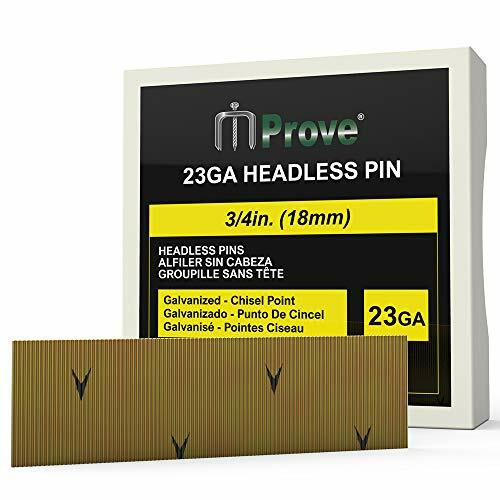 MProve 23-Guage Electro-Galvanized Headless Micro Pin Nails [10,000 Nails] Mprove pins are an excellent choice for small wood finishing such as and decorative trim, furniture trim, window beading, blind pinning of upholstered and trim panels, rattan, scribe molding, cabinets, drawers and picture frame assembly. Designed to BOND small work pieces without splintering or leaving a noticeable entry mark. Mprove pin nails should be your first choice for your trim and crafting needs. Each box contains 10,000 pins, and arrows on each strip point towards the bottom of the headless pins for accurate loading into most 23-gauge pinners.